Next week I plan to begin a review of BibleWorks 8 (in parts). 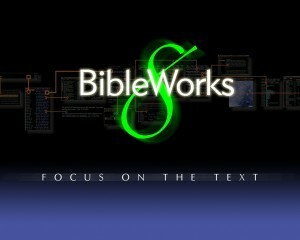 Full disclosure: I have used BibleWorks since version 6 came out. I purchased the version 7 upgrade and I was pleased with the new features. I just recently have had the opportunity to use BibleWorks 8 (this time out of the generosity of the good folks at BibleWorks). In the review, I plan to comment on BW8 features, compare BW8 to BW7, and compare BW8 with Accordance and Logos (I own all three products). I hope to avoid some of the more subjective comparisons (such as “this feels better” or “this is more intuitive”), but I suppose I’ll have to let the responses fall where they may. Yeah, the review doesn’t have too much control over the comments. In any case, I definitely look forward to your thoughts.